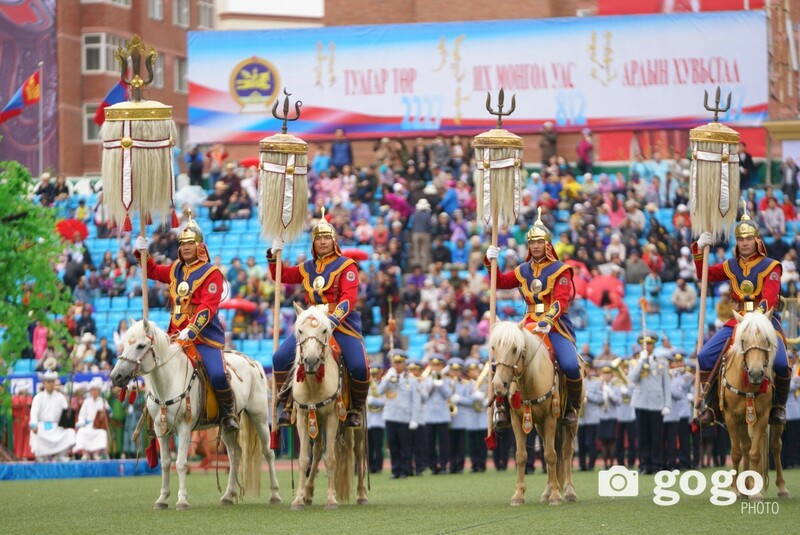 In Mongolia, the first celebration of the year is the lunar new year, Tsagaan Sar, meaning “white moon”. 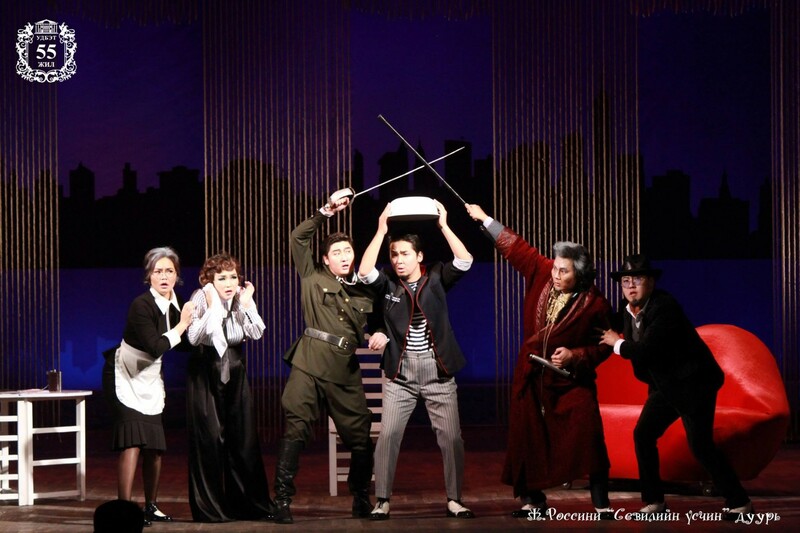 The date of the celebration is determined according to lunar calendar. 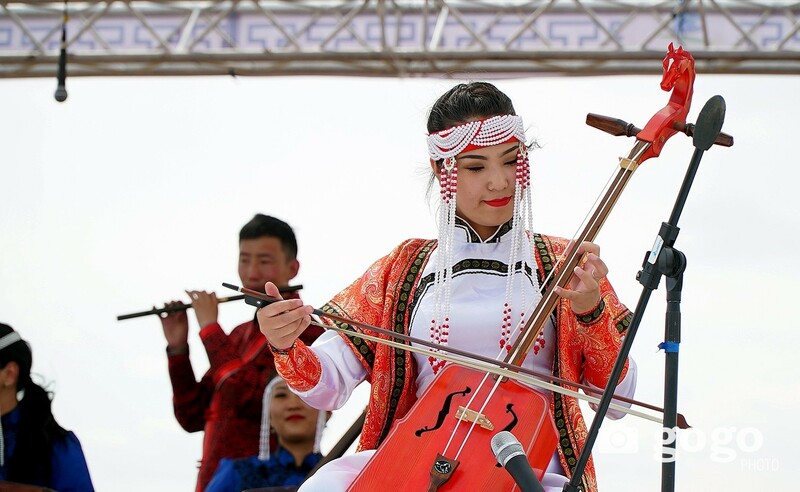 The day before Tsagaan sar is called “Bituun”, and Mongolians celebrate this day as wife cleans home and husband fixes and cleans the livestock barns and shades to meet the New Year fresh. Families have “covered meal” and sheep head for dinner, also they share food to neighbors. The holiday lasts 3 days and usually elders celebrate the holiday, and youngsters greet them. Especially young families under age 35 don’t celebrate at home much, and they visit to elders’ home and celebrate together. 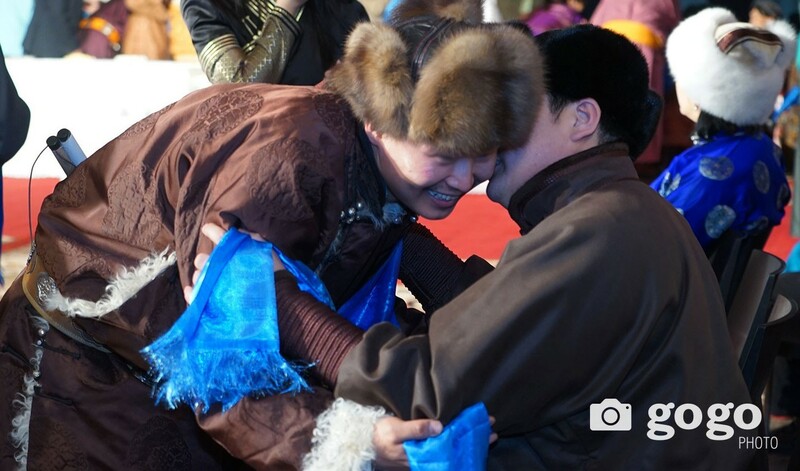 When Mongolians greet, both extend their arms; palms turned up. And younger family members support the elders at the elbows from below, and relatives at same age put one hand below and one above. It’s a taboo for a husband and wife to greet each other as it brings conflicts and even separations. Sometimes this action is done with “Khadag”, a symbolic blue scarf, through which they express their respect each other. 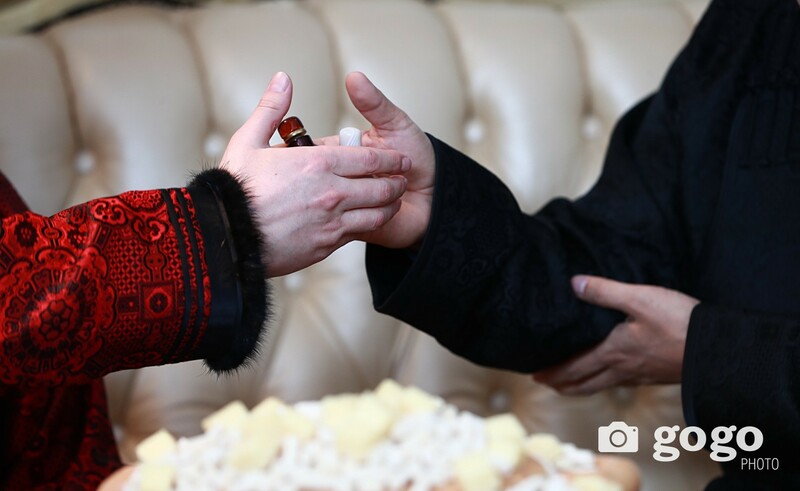 Mongolian men have a snuff bottle, which are called “khuurug” and they greet elders first saying “Tany biy lagshin tungalag uu? Sureg mal ond mend targan tavtai orov uu?” /which means Are you doing great and healthy? Have you met the spring with healthy and fat livestock? /. With your right thumb, slightly lift the cap of the snuff bottle and lightly sniff the bottle/cap. Replace the cap and hand the bottle back to your host. Rolling sleeve is forbidden when exchanging khuurug. 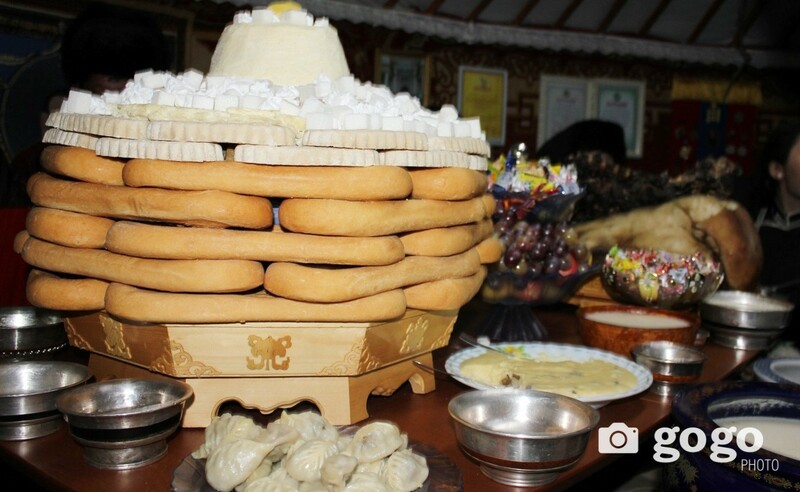 Mongolians eat buuz, minced beef or minced mutton steamed inside pastry, and drink milk tea. 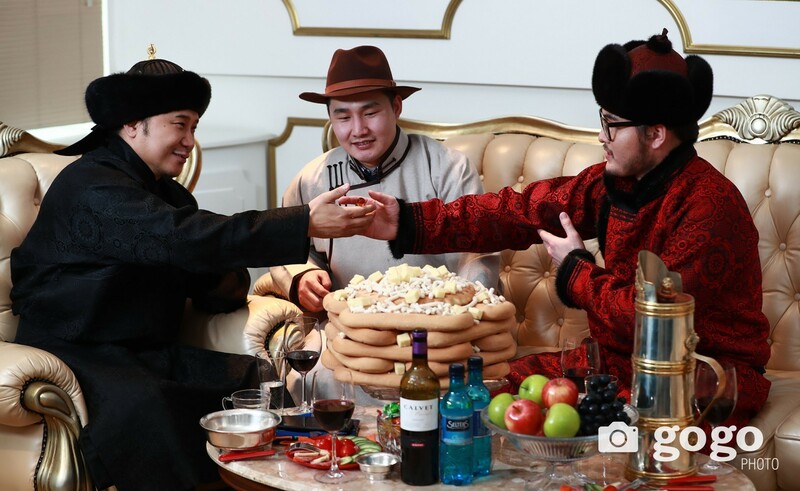 Nowadays, some families gather at the restaurant and celebrate “Tsagaan sar” together, but it is not popular as traditional celebrating. After meal, when the guests are ready to leave, the host offers them a gift. The gift could be anything such as socks, candies and pastries within MNT 20 thousand, or cash. Don’t step on the doorstep of the ger /yurt/. Don’t stretch your arms in order to touch the two sides of the doorframe of the ger. Also, it is prohibited to step on horse lasso. Don’t give and take things between Mongolian ger pillars. And you should avoid fighting, swearing and saying any bad words during the holiday.